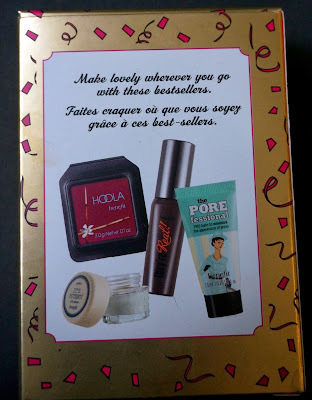 THE PRIZE: This fantastic goodie box from Benefit featuring some of their most famous products - Let's Make Lovely contains mini sizes of Hula, Pore-fessional, They're Real mascara and It's Potent eye cream. Whether you already love Benefit, have always wanted to try on have never even heard of them before this is a prize well worth winning. Suitable for any skin tone even the box for this fab. This is amazing, would really love this, fingers crossed merry christmas! Would love to try porefessional ! Happy Christmas to you too ! fab prize, thanks for all the giveaways! Product looks lovely, Benefit always is! Lovely prize thanks - happy Christmas to you. I LOVE Benefit stuff, so quirky. Have never tried Benefit before but would love to try. I haven't ever tried benefit cosmetics but i'm eager to try! This is amazing..! :$) would love to win! Need to win these products because I’m a huge fan of benefit & your blog! I LOVE Benefit products! I would love to win these products!! I’m crossing my fingers! <3 and have a great day . Absolutely NEED all of these amazing products! amazing giveaway! benefit has some great products!!! Wow I've always read good stuff about Benefit and like it. I'm sure everyone here is dreaming of winning this and dying to try them! Thank so much for the awesome giveaway! Wow amazing prize. Would love to win this. Adore Benefit. In love with this packaging!! What an amazing giveaway! I really hope I win. I’d be really happy. WOW! This is an amazing giveaway, I've wanted to try this for ages! Amazing giveaway!!! You are so generous!!! 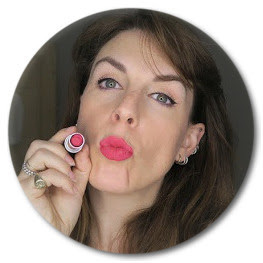 Fab giveaway, this has been on my wishlist for ages now! This looks sooo pretty! I’d love to add it to my makeup collection! I’m really excited for this giveaway. This is amazing..! would love to win! I’ve never had a Benefit before and I’ve been dying to try them. Unfortunately, as a student, I’ve never had enough cash to try them. Thanks for doing this giveaway! What a pretty gift to giveaway! That’s really sweet! 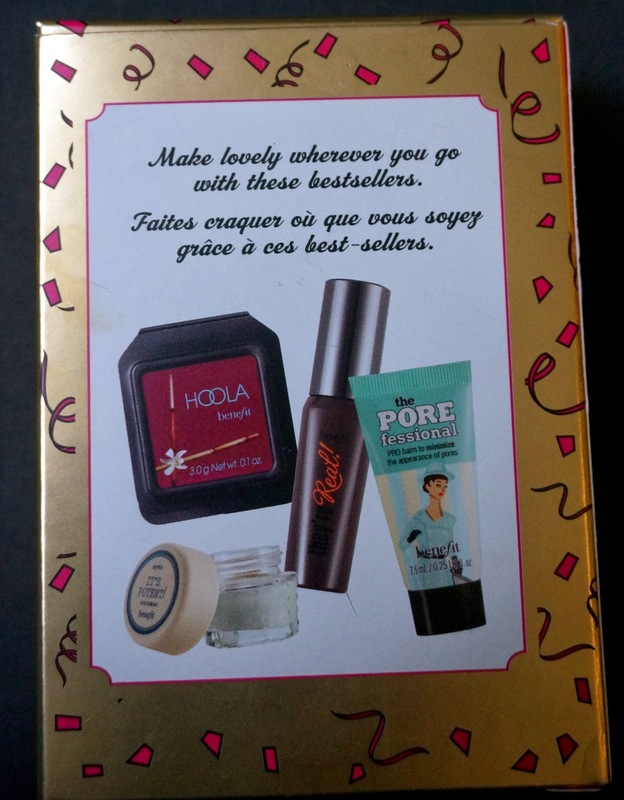 I would love to win this, because I would love to try out Benefit products. 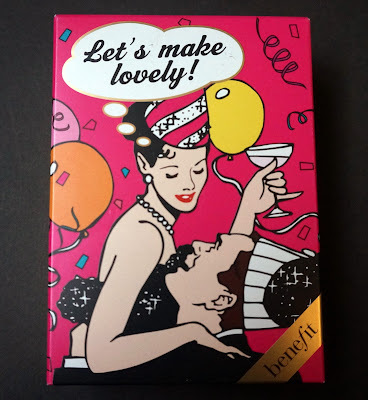 I love everything Benefit! This set looks fab :) Thanks for the chance! I love Benefit. The packaging is so cute and I'm assured of quality products. I hope I win! I've never had the chance to try any Benefit product before and I'm really curious! Thnk you for the give-away. Great prize, would absolutely love to win. LOVE Benefit products. I haven't worn makeup for ages, but would love to start wearing again to make me feel better about myself. I have heard of Benefit and good things about it, but never had the opportunity to try their products! I would love to win this! It would make my Xmas! My mascara is so old it has totally dried up! Prize :- Nice Treat, especially at this time of year.